Gareth Nyandoro was born in Bikita, Zimbabwe. 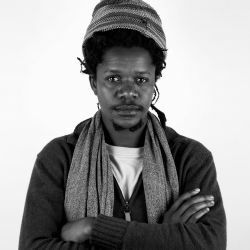 He obtained a National Diploma in Fine Art from Harare Polytechnic in 2003 before furthering his studies in Creative Arts and Design at the Chinhoyi University of Technology, where he qualified in 2008. In 2015 Nyandoro embarked on a one-year residency at the Rijksakademie in Amsterdam (the Netherlands). Growing up in Zimbabwe, Nyandoro has developed a fascination with trade commerce, especially as found in local marketplaces. He has always been interested in human interaction and behaviour, regarding the ways in which people arrange their stalls, negotiate trade deals and sell used goods typically associated with markets such as bicycles, shoes, and clothing rails. 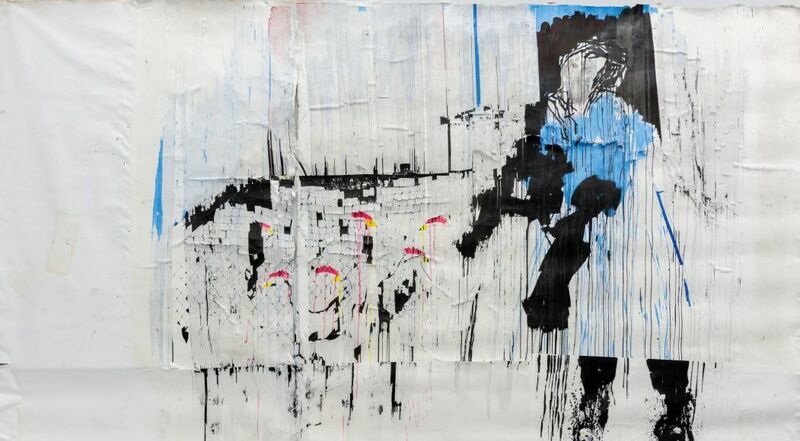 His work can lean towards abstraction as human figures become less discernible. Given his training as a printmaker, Nyandoro became intrigued with the processes involved with etching. Consequently, he developed a distinctive technique “Kucheka Cheka” which means ‘to cut’. 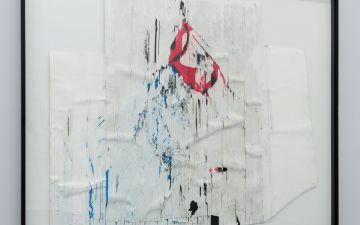 It involves using sharp blades to cut shapes and figures into paper, which is then sponged over with ink, prior to stripping the surface layer of paper with tape. Nyandoro’s art traces human interaction within the fabric of the urban environment, reinterpreting scenes from everyday life through the use of collage and the combination of two and three-dimensional objects. In works like Sadza $1.00 (2016), we see a painting draped from the ceiling to the floor. It reads like a sign that advertises sadza, a maize-based staple similar to ‘pap’ in South Africa. 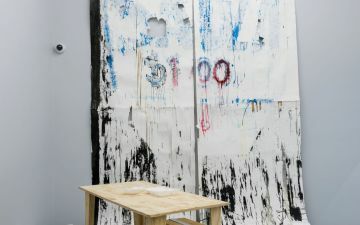 In front of the painting sits a table with polystyrene takeaway boxes, salt, and pepper. Within the urban landscape, it is common to find formal and informal canteens advertising sadza. Usually eaten with meat and vegetables, the average price of sadza is one US Dollar, a currency that was introduced following the collapse of the Zimbabwean dollar. As such, this artwork points to issues around formal economic structures and the necessity of informal trade. At the same time, sadza brings people together and people will often sit during lunch break to escape the mundane and monotonous activities of the day. In 2015 Nyandoro was part of the Pixels of Ubuntu/Unhu Zimbabwe Pavilion at the Venice Biennale in Venice (Italy: 2015). 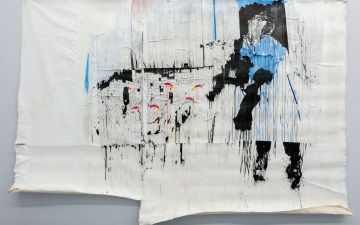 His solo exhibitions include Stall(s) of Fame, at the Palais de Tokyo (France: 2017); IPA PO-IPAPO at SMAC Gallery, Johannesburg (South Africa: 2016); Gareth Nyandoro at Art Brussels (Belgium: 2016); Mutariri at the National Gallery of Zimbabwe (Harare, Zimbabwe: 2012) and; Weaving Life at Gallery Delta (Harare, Zimbabwe: 2013) . 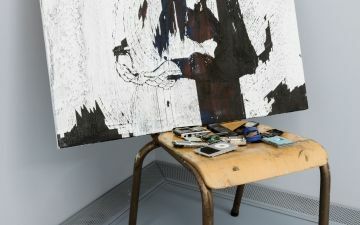 Gareth Nyandoro have been featured in the Zeitz MOCAA exhibition, Five Bhobh – Painting at the End of an Era (2018 – 2019) as well as the exhibition All things being equal… (Permanent Galleries).